There are many reasons — probably more than 109 — to come to the 109th annual Yankee Doodle Fair. Yankee Doodle himself is going. The fictional colonial simpleton — who bears a striking resemblance to Westport artist Miggs Burroughs (designer of our town’s Minute Man flag) — will be there this week. In full costume. With — of course — a feather in his cap. Yankee Doodle, aka Miggs Burroughs. 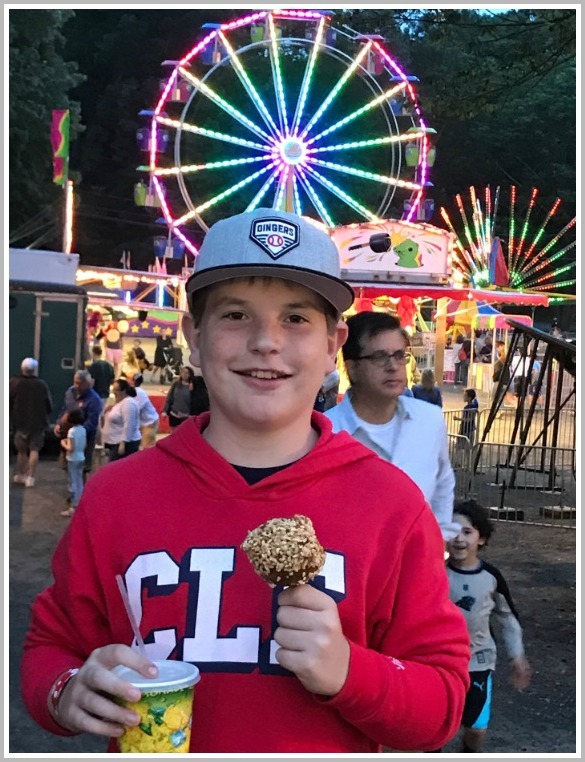 For a $3 donation, you can take a selfie at the Yankee Doodle Fair (Westport Woman’s Club, 44 Imperial Avenue). With Yankee Doodle. You gotta hand it to Miggs. When he borrowed his costume from fellow illustrator Ed Vebell, he realized it was a better fit for a 1776-size guy. So Miggs found a tailoring kit, and fixed it himself. Betsy Ross would be proud. Which is not just a clever line. Fun fact: Miggs actually dated Betsy Ross. No, not that one. He isn’t that old. Miggs met this Betsy Ross in 1998, at a New Year’s party at Ann Sheffer and Bill Scheffler’s house. She grew up in Westport — as Betsy Peterken– and left Staples after 10th grade. 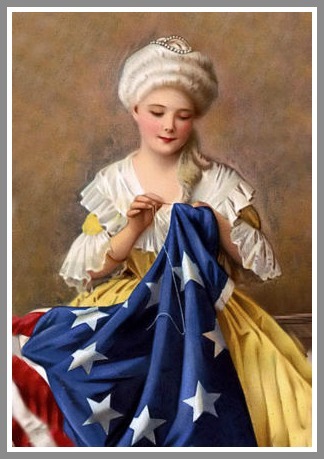 This is not the Betsy Ross whom Miggs Burroughs dated. By the time she returned for that party she’d married and divorced Thomas McCaughey, married (and was in the process of separating from) wealthy investment banker Wilbur Ross — and was, in her own right (using the name Betsy McCaughey Ross) lieutenant governor of New York, under George Pataki. Which brings us — in a roundabout way — back to Yankee Doodle. The costume is hot. 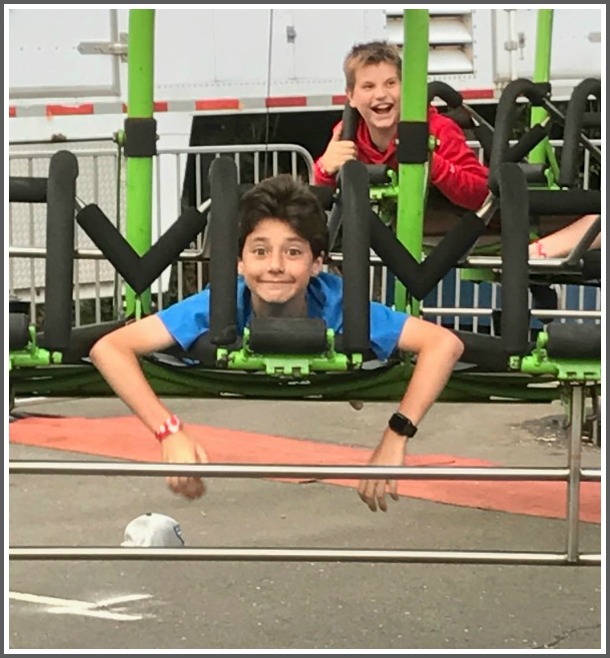 So Miggs will be in air-conditioned Bedford Hall — part of the Yankee Doodle Fair grounds — for limited hours: 6-8 p.m. on Thursday and Friday, June 16-17; 4-7 p.m. Saturday, June 18, and 1-3 p.m. on Sunday, June 19. 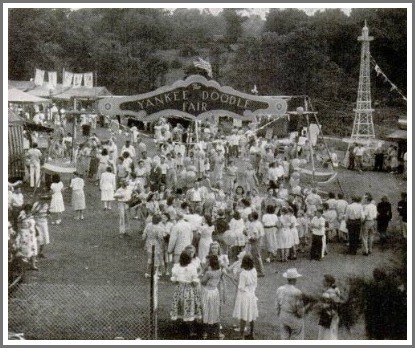 After 109 years, this Yankee Doodle Fair promises to be a historic occasion. 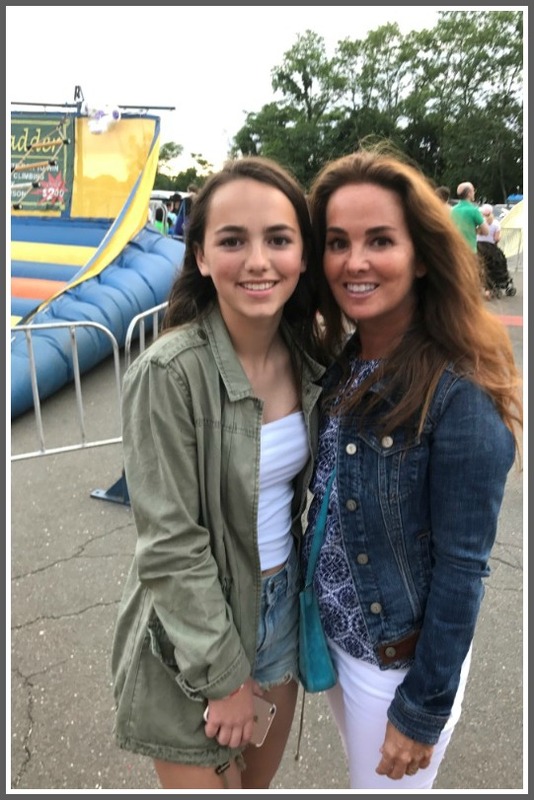 For longer than any man or woman here has been alive, the Westport Woman’s Club event has signaled the start of summer. It’s also the long-lived civic organization’s main fundraiser, helping them help dozens of local charities and provide important scholarships to Staples grads. I’m sure that back in the pre-internet, pre-TV, pre-radio (!) day, there were lots of old-fashioned, carnival-style fairs. 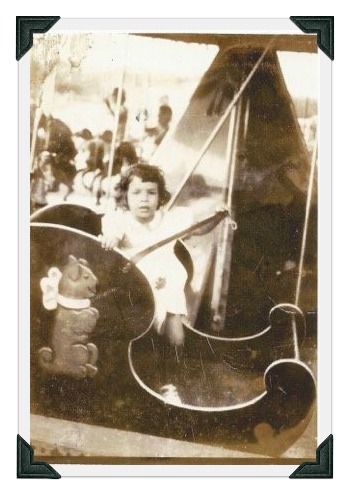 I remember them at Compo Beach, the empty lot where Barnes & Noble now sits, and (of course) Festival Italiano. The Yankee Doodle Fair is the only one still alive. Generations of Westporters have fond memories of it. Some have more tangible images. 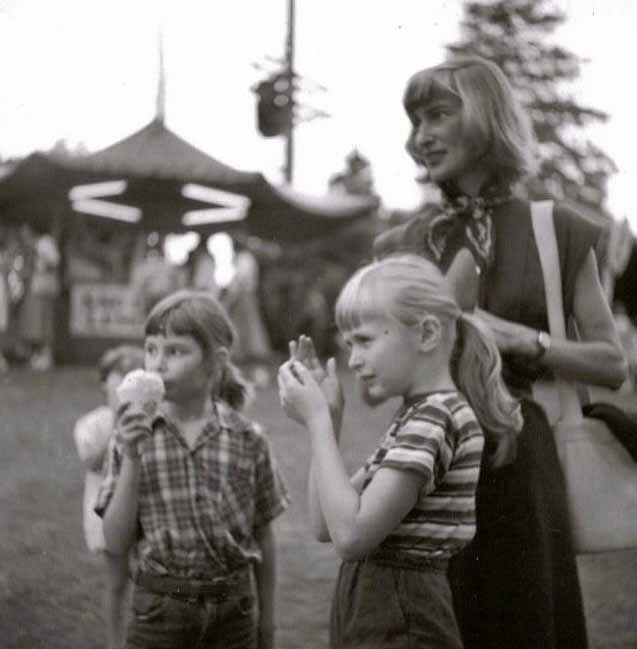 In 1952, 4-year-old Ann Sheffer attended the Fair. 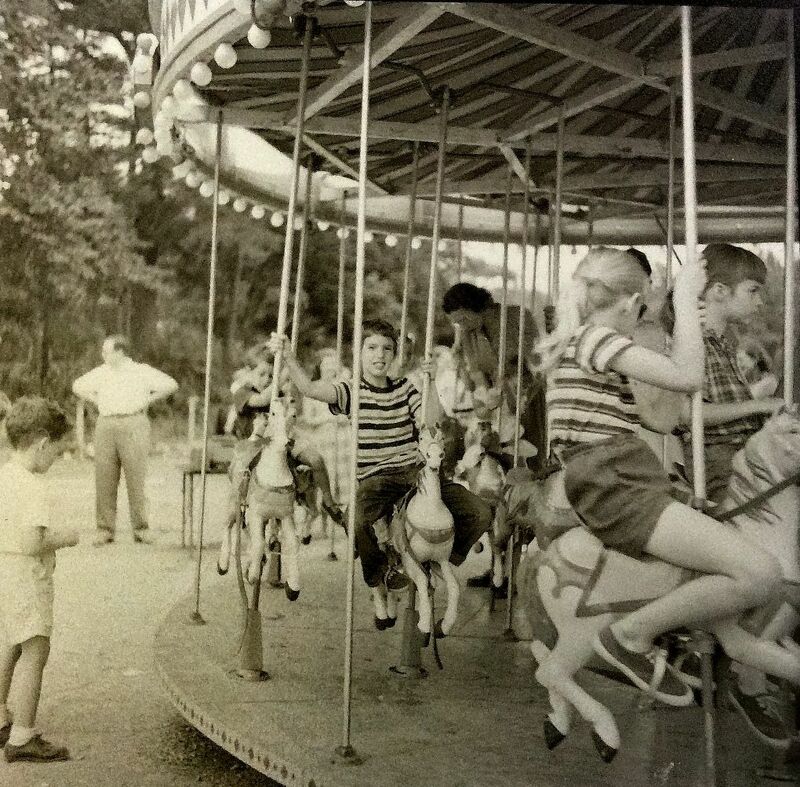 She keeps a photo of herself on a carousel (left) — and gets a kick out of watching 21st-century 4-year-0lds ride them. 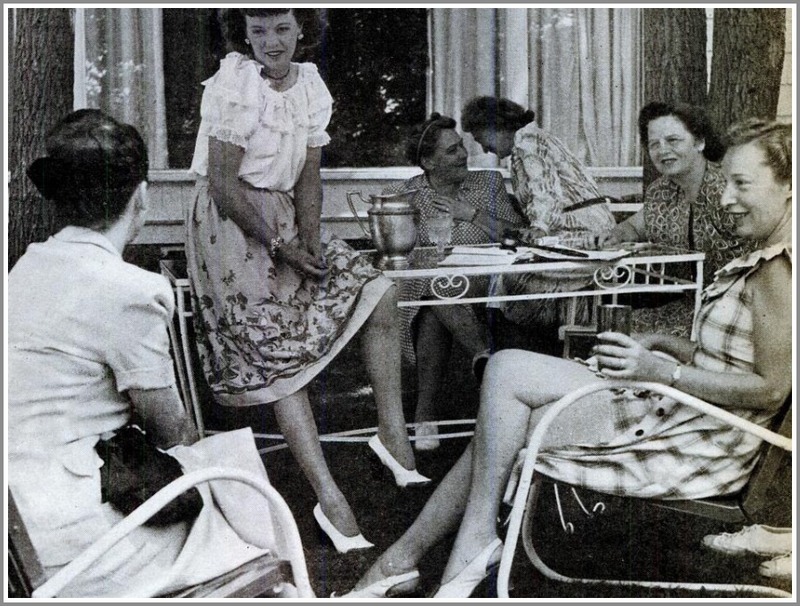 When Ann was growing up, many Woman’s Club members were either artists themselves, or married to artists. Affordable portrait drawing was a big Yankee Doodle Fair attraction. Howard Munce — who at nearly 100 years old is still 8 years younger than the Fair — drew portraits at the Fair. So did Miggs’ Burroughs father, Bernie. But Bernie didn’t draw his son. 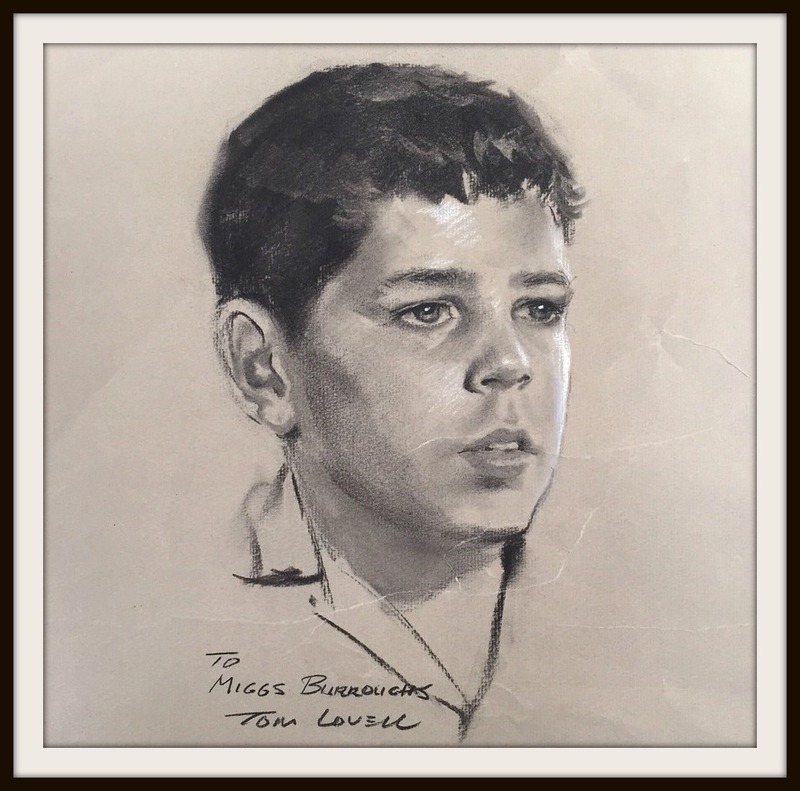 The charcoal portrait below was done around 1956 by Westporter Tom Lovell. He later became a famed book cover artist and painter of Western art, whose works sold for up to $400,000. This portrait of Miggs probably cost $1. But he still has it. Years after sitting (while watching all his friends going on rides), Miggs went on to curate the Woman’s Club Art Show Fundraiser last month. 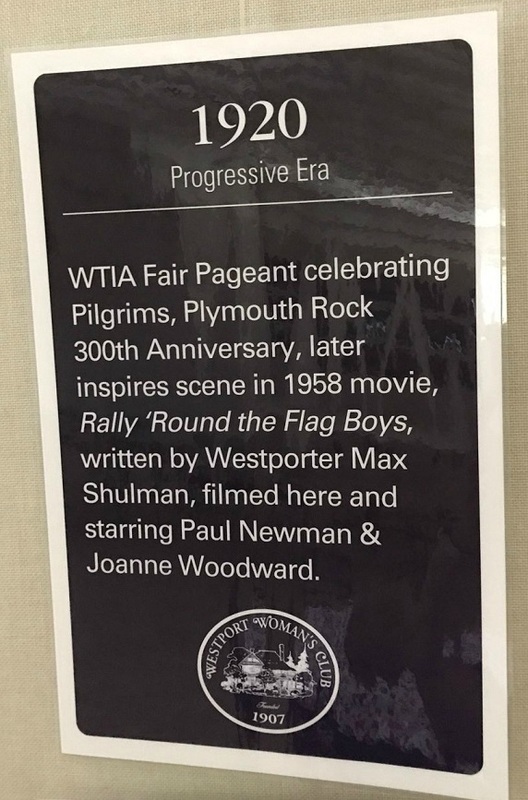 It featured local artists — and honored Ann Sheffer’s aunt, Susan Malloy. 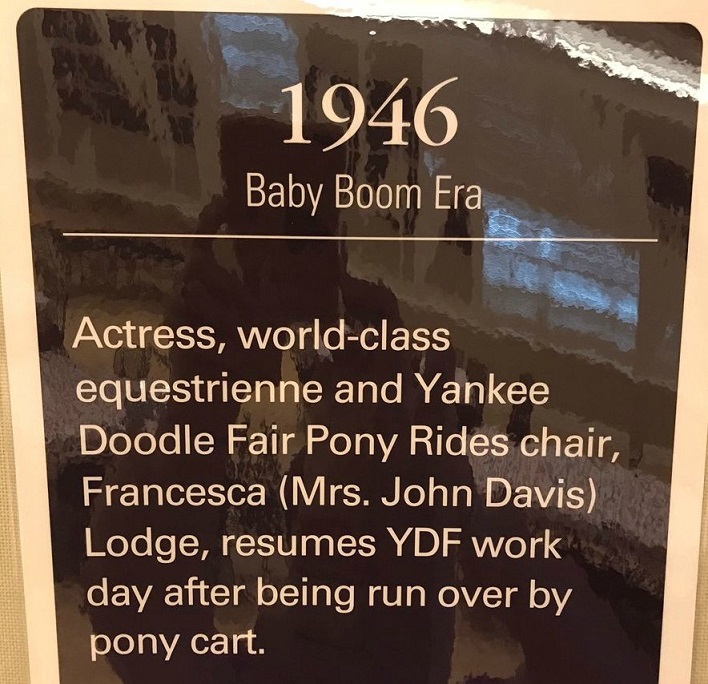 Interesting how the Yankee Doodle Fair connects them all. 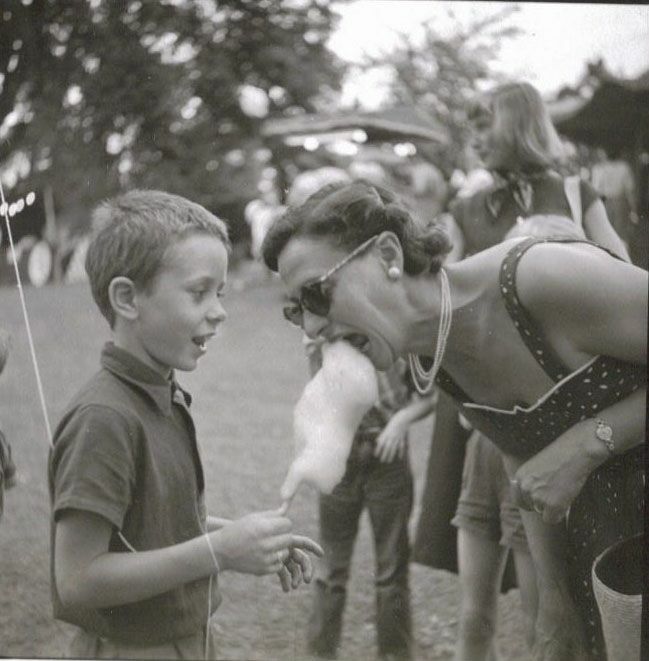 Linda Gramatky Smith remembers the Yankee Doodle Fair too. Every year, her parents — Hardie (“Little Toot” author/illustrator) Gramatky and Dorothea Cooke — took turns in the portrait booth. 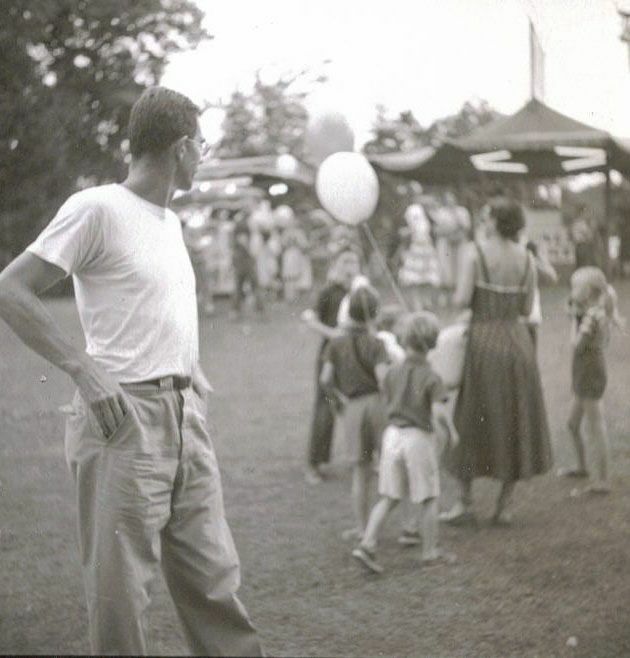 Her father’s diary from June 28, 1956 notes he went to the Fair that day with famed artists Ward Brackett, Dolli Tingle, Herb Olsen, Donald Purdy, Arpi Ermoyan and Johnny Gannam. But they were not just drawing caricatures. 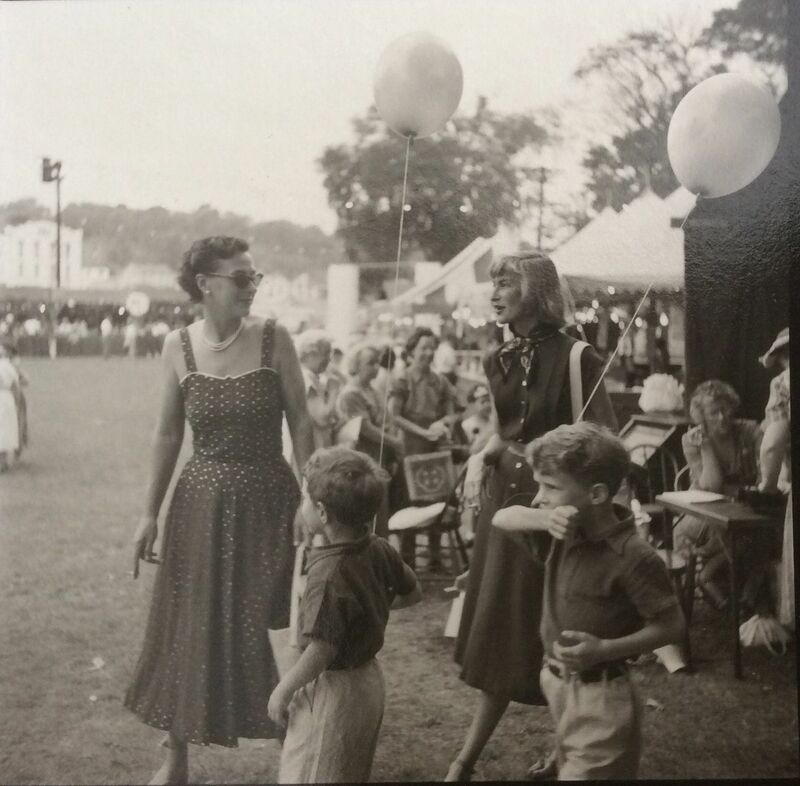 In 1953, Hardie Gramatky matted a watercolor as a gift to the Fair. Just one more Westporter helping the Westport Woman’s Club make money. This year’s edition opens tomorrow. 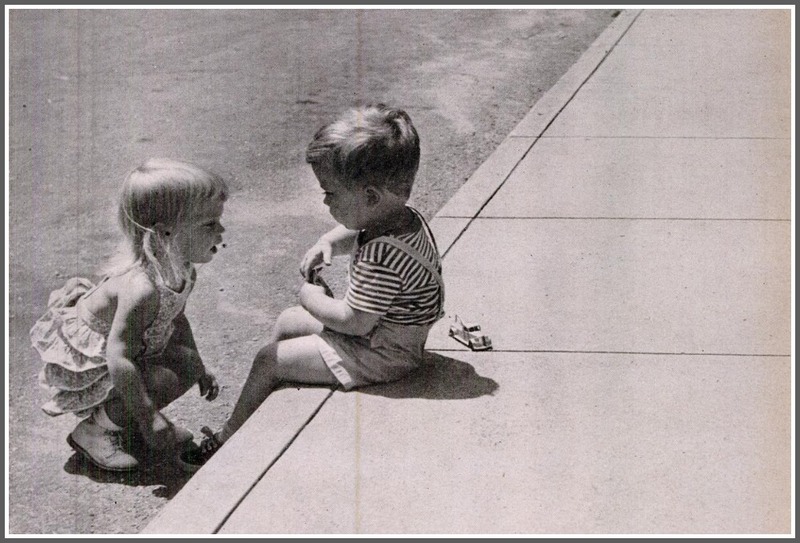 There’ll be many chances for today’s kids to make their own memories for years to come. Besides the traditional rides and games, new this year are a “Children’s Garden” area, a photo opp board, a “Fountain of Wishes,” face painting (fun or fierce), sand art, and (Saturday and Sunday only), caricaturist T.C. Ford (with his sidekick, all-natural henna artist Brigid Fleming). The timing is perfect. School is out. Summer is about to begin. After 108 years, things still haven’t changed. 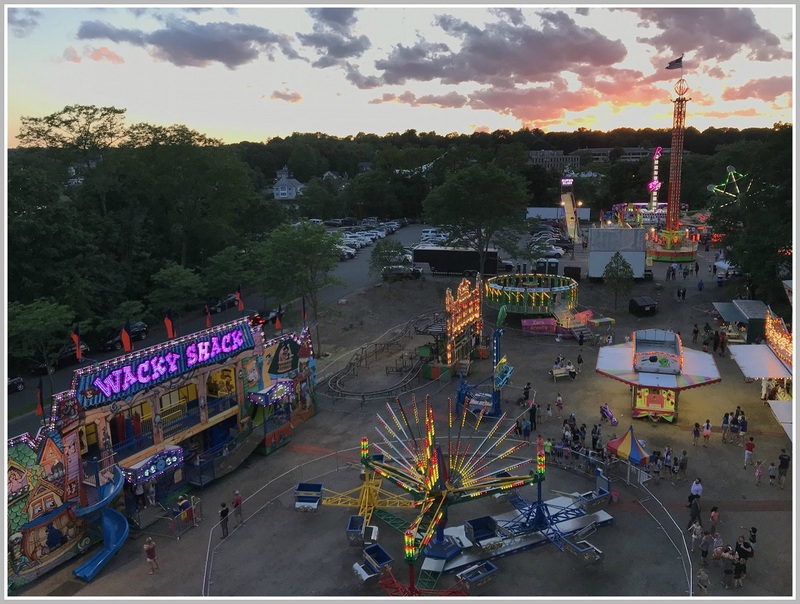 The Yankee Doodle Fair runs Thursday and Friday (June 18 and 19, 6-10 p.m.), Saturday (June 20, 1-10 p.m.) and Sunday (June 21, 1-5 p.m.) at the Westport Woman’s Club, 44 Imperial Avenue. Admission is free! Click here for more information. 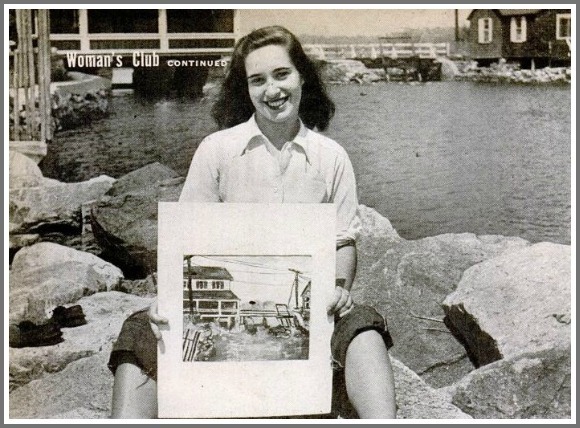 Back in the day, the Westport Woman’s Club’s Yankee Doodle Fair raised money to build sidewalks on Main Street, install toilets at Compo Beach, and bring hot meals and health care to our schools. That day was 100 years ago. Today we’ve got sidewalks (some in retro red brick). There are toilets at Compo (both permanent and portable). And our schools serve plenty of hot meals (though at least Two Angry Moms think they’re not exactly healthful). 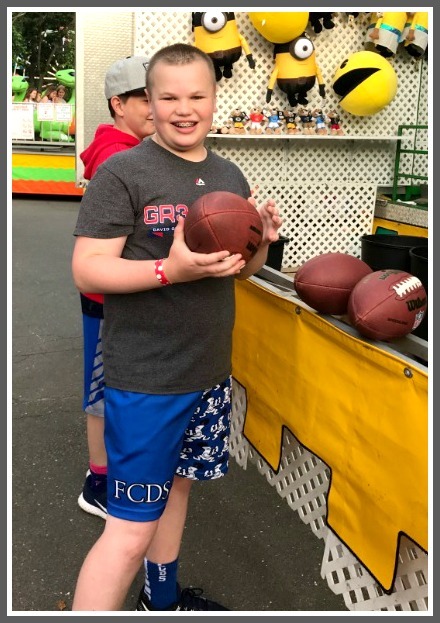 But the Yankee Doodle Fair still raises money for local causes. Last year, the Woman’s Club donated $200,000 to community groups. That would pay for a lot of Port-a-Potties. 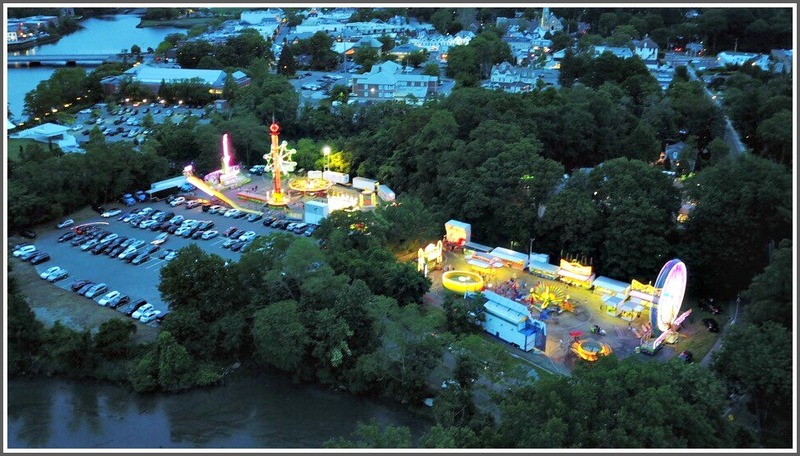 This year’s Fair opens tomorrow (Thursday, June 17, 5-11 p.m.). It continues through Sunday at the Woman’s Club on Imperial Avenue. For the less adventurous, there’s face painting, sand art, and plant and bake sales. 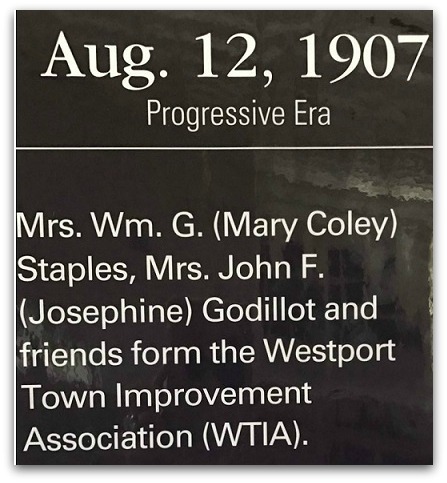 The Westport Woman’s Club downplays their civic contributions. 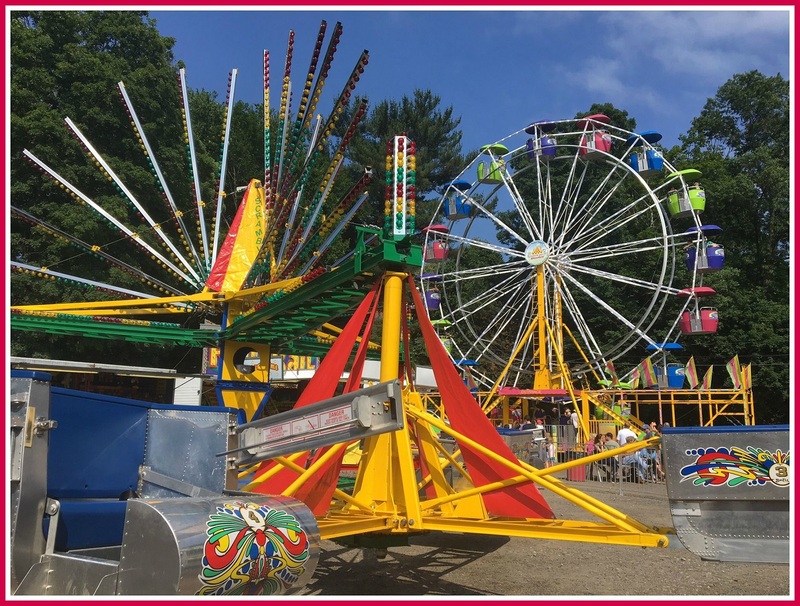 Few Yankee Doodle Fair-goers — little kids enjoying the rides; middle schoolers primping and preening; adults reliving a relic of their youth — even realize they help the organizers support dozens of worthy charities. That’s fine. The last thing you want to think about — hanging upside down on the banks of the Saugatuck River, your change falling out of your pockets — is where your money is going.